A PIL has reportedly been filed in the Supreme Court by an SC Advocate, Vineet Dhanda demanding Court’s intervention in the confrontation between the Centre and the students of Film and Television Institute of India, going on for more than two months. The Petition demands that transparency be restored in the appointment process in the institute. The agitation in FTII was triggered by the appointment of Gajendra Chauhan as the Chairman of the institute. It was revealed by the Information and Broadcast Ministry, through an RTI query that Gajendra Chauhan was appointed by the Government on the basis of a one-para CV. It was also reported that the only notable achievement Mr. Chauhan mentioned on the document was that of playing the role of Yudhisthir in the TV serial Mahabharata. Doyens of Indian Cinema including Amitabh Bachchan, Rajinikanth, Vidhu Vinod Chopra, Jahnu Baruah, Raju Hirani, Jaya Bachchan, Adoor Gopalakrishnan, Ramesh Sippy, Govind Nihalani and Aamir Khan were considered for the post earlier. However, the Ministry in its response was silent on why Mr. Chauhan was preferred over the stalwarts of Indian Cinema whose names were proposed by FTII. FTII students’ association (FSA) has declared a strike since his appointment, demanding an overhaul in the FTII society and Mr. Chauhan’s removal, who they allege lack vision and stature to head the institute. Mr. Pathrabe had suspended the layoff of 82 contractual staff by one month after a second-year cinematography student sat on a hunger strike to protest the administration's decision. Pathrabe said the dismissal will be effective from October 1 if the students do not call off their agitation. 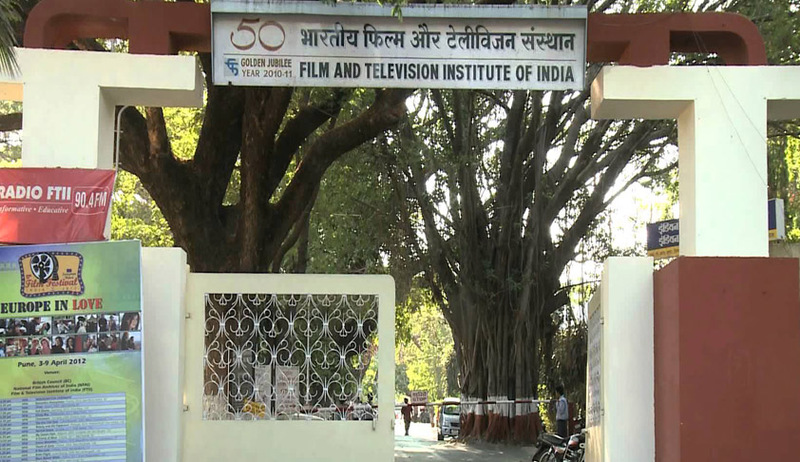 A three member committee constituted by the Information and Broadcasting Ministry to examine the “ground solution” at FTII submitted its report yesterday. The Committee was formed after some students reportedly confined FTII director Prashant Pathrabe to his chamber. The report has however offered no specific resolution to the stalemate over the appointment. The strife reached a flashpoint when the police arrested five students for vandalizing the premises and confining the Director.